Heerema Marine Contractor’s semi-submersible crane vessel Hermod, an icon of the offshore industry, will retire at the end of this year after an impressive operational performance of nearly 40 years. 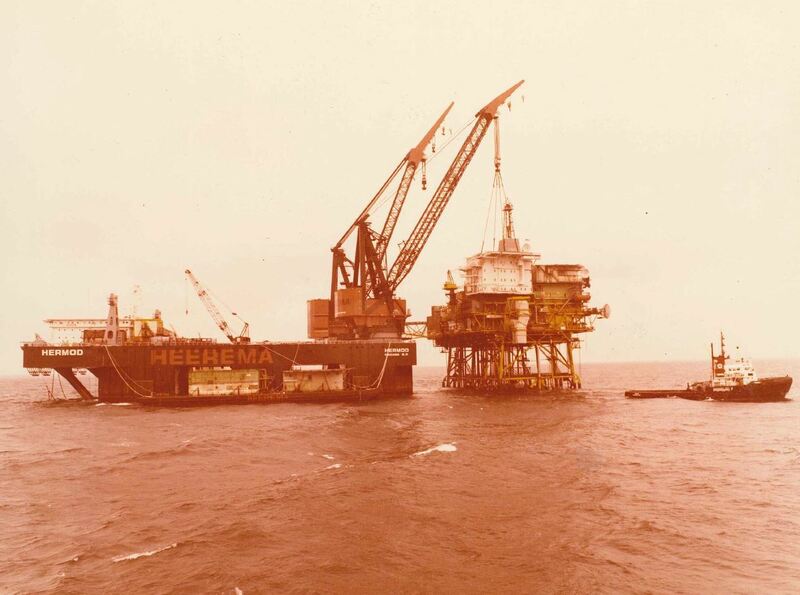 Installation of the first North Sea Tension Leg Platform (Hutton) jointly with Balder in 1984. Installation of the first deepwater foundation piles of the first TLP in the Gulf of Mexico (Auger) in 870 meters of water in 1992. Installation of the Tombua Landana compliant tower foundation in Angola in 2008 comprising the world's largest single piece foundation piles (2.7m diameter, 190m long and weighing 850mT each). 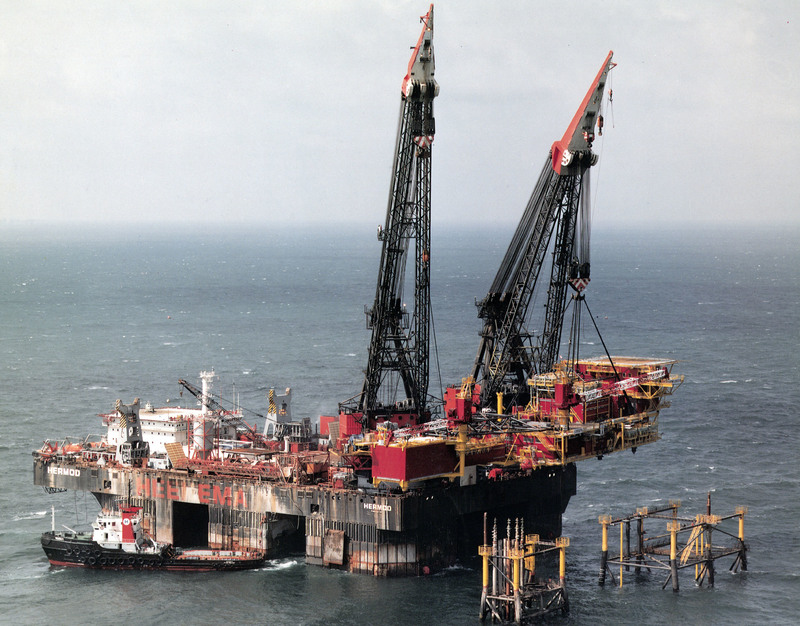 Removal of the first large platform in the UK: North West Hutton in 2008/09. The heaviest lift performed by Hermod was the Peregrino topside in Brazil in 2010 with a dry weight of 6,287 mT. The demolition of Hermod will be performed in a safe and responsible way, in accordance with the Hong Kong International Convention for the Safe and Environmentally Sound Recycling of Ships and in line with the European Union Ship Recycling Regulation. The Chinese demolition yard Zhoushan Changhong International Ship Recycling Company has been selected based on its track record and its ability to deliver in accordance with the above mentioned standards. About 98% of the vessel materials will be recycled and re-used. Based on above evaluation, the Dutch government has granted the export license for Hermod. 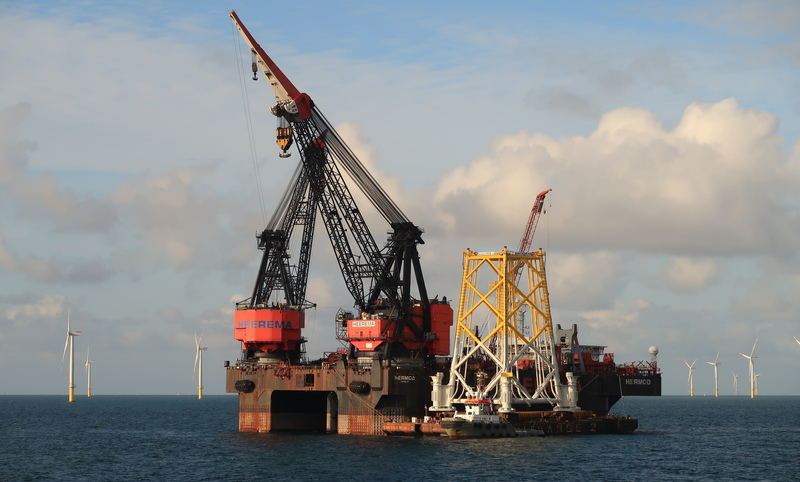 Hermod will be transported to its final destination on the heavy transport vessel Dockwise Vanguard of Boskalis. We wish to bring a thankful salute to our Hermod and all of our colleagues involved in working on and with her, presently and in the past, being grateful for an exceptional contribution to the offshore construction industry in general and our company in particular. While Hermod will be retiring from service, HMC is at the same time constructing the world’s largest semi-submersible crane vessel Sleipnir in Singapore. Sleipnir has a 2 x 10,000 mT lifting capacity and is due to come into service in 2019. In order to improve the environmental footprint of our operations, Sleipnir will be outfitted with a dual fuel propulsion system, whereby in LNG mode, harmful emissions will be substantially reduced. Heerema Marine Contractors is proud to announce that the company has achieved a next and crucial step in its journey to progress the QUAD lift from an ambitious idea to an industry wide accepted technology. The QUAD Lift Development received its Technology Qualification Certificate from DNVGL. 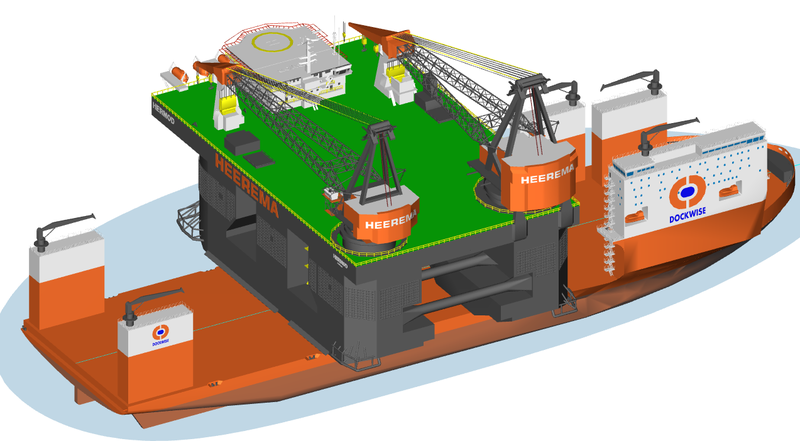 Heerema Marine Contractors (HMC) has developed a globally unique, innovative way of lifting that will redefine the boundaries of lifting operations offshore. This ‘QUAD lifting’ was tested successfully on October 22, 2018 in the Gulf of Mexico. The QUAD lifting enables HMC to integrally install and/or remove oversized topsides or jackets. This revolutionary innovation is an important expansion of HMC's services and guarantees unmatched lower overall project costs. Heerema Marine Contractors is incredibly proud to announce that our Installation Engineer Marius Ottolini has been elected winner of the 2018 “Offshore Energy Young Engineer Award.” Marius received his award for being one of the big drivers within Heerema in the development of silent foundations, with the aim to reduce or eliminate piling noise. Such noise can affect the marine environment to a substantial degree. He has developed several alternatives which are a step change in foundation design, in particular because the foundation can be installed silently and it can be completely removed after it has reached its end of life.